1. The majority of guitar teachers do not make enough money to make ends meet. 2. Most of these same guitar teachers have never helped any students to become GREAT guitar players. 3. Guitar teachers frequently report working excessive hours while making little pay. 1. Take home a total of $100k or more each year from guitar teaching alone. 2. Have strategic systems in place to quickly transform their students into great guitar players. 3. Are highly motivated and have plenty of extra time, energy and resources to invest into the improvement of their guitar teaching businesses. 4. Commonly do not work full time hours each week (they work much less). By charging much less for your lessons, you are giving the ‘wrong’ signal to serious prospective guitar students. The truth is, many students will see that you are very cheap and assume that it is because you are not very good or are new to teaching guitar. In response, these (serious) students will ignore you and look for a different teacher who can get them the results they want in less time (even if that teacher is more expensive ‘per lesson’). Fact is, most people believe in the old saying “you get what you pay for”. To keep these things from ruining your guitar teaching business, charge at least the average lesson cost in your local area (regardless of your current teaching experience). Next, work on becoming a great teacher and turning your students into highly skilled guitar players. Once you can successfully do this, you can easily justify charging much more than your competitors. Learn how to become the most successful guitar teacher in your area by working with a mentor to become a better guitar teacher. Fortunately, you can avoid these problems by making an effort to consistently improve in ALL areas of your guitar teaching business. By doing this, your business will improve exponentially and the amount of effort needed for major growth with decrease over time. Most guitar teachers make the mistake of assuming that it is up to the student to tell the teacher what they need to learn each lesson. This assumption is totally wrong and makes no sense at all. Your guitar students (for the most part) have absolutely no idea what they need to learn in order to reach their musical goals. If they did know, why would they come to you for guitar lessons? …They wouldn’t of course. YOU must decide what your students need to learn in order to achieve their musical goals. To do this you must perform two simple steps: First, learn their long terms goals. Second, design a specific strategy for them based around these goals while also helping them to understand how what you will teach them IS in their best interest. As a new guitar teacher, you will naturally be inclined to look at what your competitors are doing and try to use this information to build your guitar teaching business. However, as you read earlier in this article, the overwhelming majority of guitar teachers are unsuccessful. With this in mind, it makes no sense for you to try to copy the same things they are doing. Rather than doing this, you should find a tight group of successful guitar teachers who are willing to share their insights with you. Of course, you will not be able to find such a group in your local area (obviously your competitors are not going to share their ideas with you). To find a network of successful guitar teachers who are willing to discuss their secrets with you, you will need to contact teachers who are ‘not’ living in the same area as you. The guitar teachers who have joined my online guitar teacher program are all part of a solid network of successful music instructors who have grown highly profitable music instruction businesses all around the world. A. By not enforcing your lesson policies, you will build up a student base full of non-serious students who will continually frustrate you by being late to lessons, not paying on time and not taking lessons seriously. B. Once you are teaching mostly non-serious students, you will completely run out of energy to help your good students who really are serious and motivated to get better at guitar. A. They do not have to find students by themselves. The music store does all the work. B. They feel it is more professional to work from a music store instead of working out of their own home. It is simply not true that music stores will do all of the promotional work for you. In reality, they do not have a strong incentive to get students specifically for ‘you’. Instead, you will still need to attract guitar students on your own. Contrary to popular belief, marketing yourself as a guitar teacher who teaches ‘all styles’ is NOT helpful for your teaching business. Fact is, marketing yourself as a general guitar teacher will only appeal to students who don’t know what they want to learn. In most cases, these students will not be very serious about learning guitar. As a result, they will frequently not practice, stop taking guitar lessons without warning and will try to find ways around your lesson policies. The truly great guitar students who are highly motivated, dedicated and loyal will never look for you if you market yourself as ‘teaching to all styles’. Why? Because they are searching for a teacher who is an expert on the specific style they want to learn. Although this article does not contain every single reason why most guitar teachers fail to become successful, you now know why relying on the conventional guitar teaching ideas of the majority can be very dangerous for your success. In order to become a highly successful guitar teacher, you will need to find a guitar teaching mentor who can help you avoid the common mistakes made by most teachers. Once you do this, you will quickly become the number one guitar teacher in your local area! 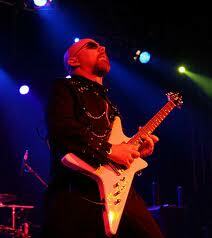 Tom Hess is an electric guitar teacher and the guitar player for the epic metal band Rhapsody Of Fire. 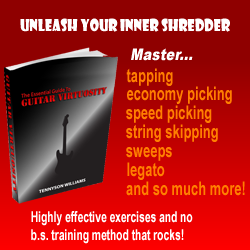 He helps many guitar teachers learn to how to make a good living teach guitar. On his website, tomhess.net, you can get additional free tips for guitar teachers, guitar teacher articles, mini courses and guitar teaching skill assessments.